Telco managed TV services (i.e. IPTV) had a great deal of issues obtaining content and it struggled terribly. Some thought it would be built on UGC (User Generated Content). However #YouTube stole that crown. Many Telcos bundled it with the Broadband offer and then ticked you off as a TV Subscriber; whether you watched it or not. 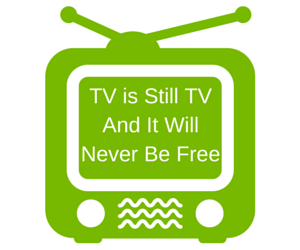 Unfortunately it offered a lesser experience and needed linear TV to make it palatable to the average consumer. In the main, people just want to be fed TV programmes and not have to be their own ‘channel-line-up’ producer each time they sit in front of the box. We are inherently lazy and Millenials are no different – If anything their attention span kills the theory of sitting down and selecting a nights viewing by App scanning; especially after a hard days work on a screen. “But those who predicted that the Internet would kill the bundle may have spoken too soon. Internet TV, in fact, is now growing its own bundle—the so-called “neo-bundle.” This year, Dish television and Sony have begun selling a version of Internet television that centers on a bundle, albeit one that is smaller and cheaper that the original offered by cable companies. Dish’s Sling is the most exciting and enticing: it offers ESPN and twenty other channels for twenty dollars a month. (You add an extra fifteen dollars if you want HBO). Sony’s Vue has fifty or so channels, for fifty dollars a month, but no ESPN or HBO. Apple, meanwhile, is likely to launch its own version in the fall.